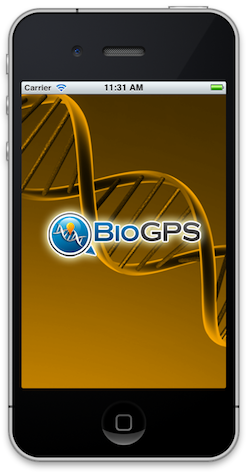 We are very proud to announce the arrival of the brand new iPhone app for BioGPS! The app gives you full access to virtually all the functionality in BioGPS, including access to the 250+ plugins in the plugin library and all of your custom layouts. One important note. If you are a user of the old BioGPS app, then you must download this app again. Apple does not allow transferring of apps between organizational accounts, so the old version under out GNF account has now been retired. That means you will not see the option to directly update, so click the link above to get the new version. This also means that we lost our ratings history, so please rate our new app! Great job on app. There is something to be said in having a professional development team on board for application development.